Welcome to UVHS and thank you for taking the time to explore our website. We are an 11-18 school in the lovely Cumbrian market town of Ulverston surrounded by fells and beaches on the scenic Furness Peninsula. Our oversubscribed school is a very popular choice for parents who tell us that their children feel safe, make good progress in their learning and that the school is well led and managed. Students, teachers, parents and governors regularly express their pride in their school. Our students of all abilities and backgrounds come from communities across the area. 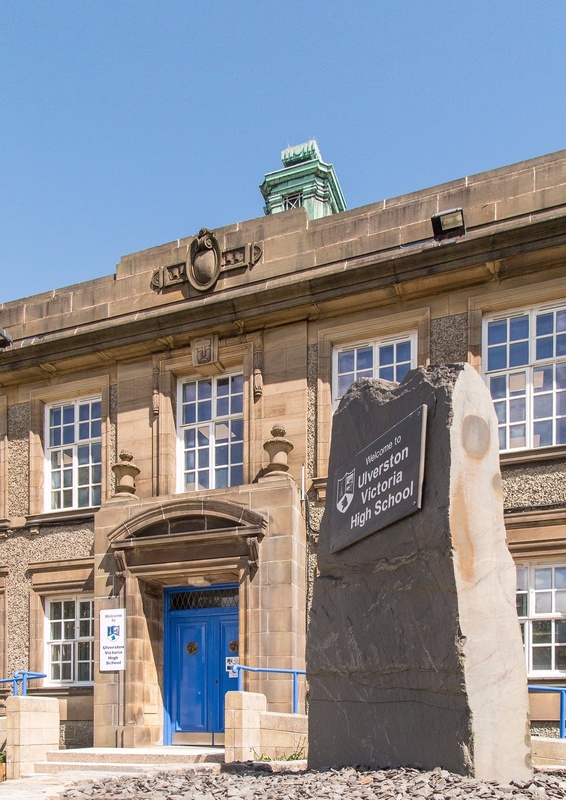 Although we enjoy International School status, we are particularly proud to be Ulverston’s secondary school and we know that the town is proud to have an exceptional school at its heart. We are seen as a school that retains the traditional values and standards that have characterised successful schools through time which are coupled with a desire to explore innovative new practices in education. We have shared our success with other schools. Our school is not an exam factory although we also seek the best examination outcomes for all our students. Over the last eight years our ethos has been founded on our adherence to Victoria Values which are agreed and upheld by all our students, staff, pupils and parents. We also Pledge to offer students activities and challenges which will enhance their characters and seek to create aspiration for our students to be “well rounded” citizens by our Personal Reference system. We are regularly oversubscribed in our High School. In recent years our Sixth Form has doubled in size. Indeed many students are attracted to our successful sixth form from other schools in the area because of the excellence of teaching particularly in the core subjects such as Physics and Maths. Our outcomes are among the very best in Cumbria and the vast majority of our sixth form students go onto Higher Education to study “good degrees” or become Higher Level Apprentices. The parents of students of all ages like the warmth of our pastoral support and that our school strives to cater for all abilities. Whilst encouraging students to aim for Oxbridge entrance, for instance, UVHS is also truly inclusive holding the award of Inclusion Gold and our Special Needs provision is seen as a centre of excellence in the county. Our school is a thriving community with lots to learn outside the classroom. There are many opportunities such as our excellent music provision and our brilliant sports provision in which we challenge students through competition locally and nationally. There is too much to list! Yet UVHS is a reflective school and we always seek to improve. Our improvement journey this year focuses on enhancing the learning experience by continuing to operate a dynamic school improvement plan. I hope you like our website. We are an open school. You are welcome to visit UVHS and enjoy the experience.